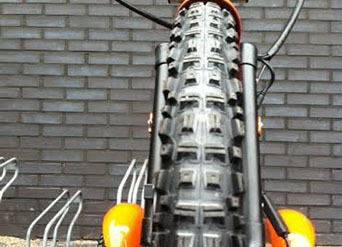 The Qugo Crossroad is equipped with robust, high-traction front and rear tyres and rubber mudguards on front and rear wheel fenders.With a 2cm increased ride height, the Qugo Crossroad is suitable for riding on private territory and unpaved bicycle paths under mild off-road conditions. 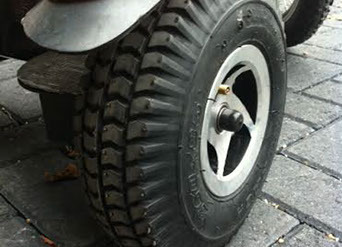 It is not homologated for road usage.For more information on the Qugo, please click here for the supplier’s website. 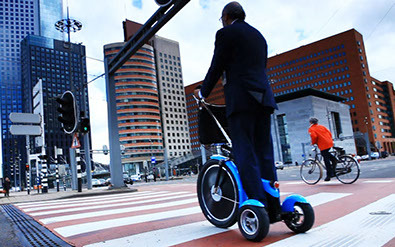 The Qugo is equipped with a compact hub motor in the front wheel. 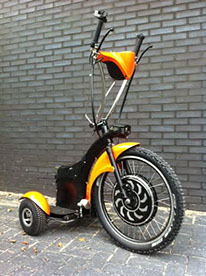 The efficient electric motor is powered by a modern 48V lithium battery pack, which is integrated in the aluminium frame. Three disk brakes always assure enough stopping power. The backlit digital dashboard displays speed, odometer and a battery indicator. 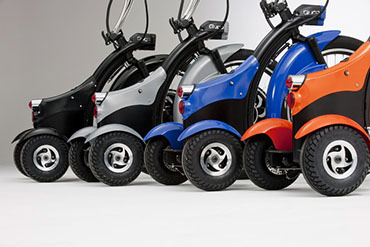 With the controls and switches on the handle bar, the rider controls its speed, the lights and the horn. 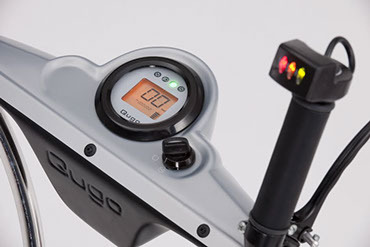 The Qugo is equipped with a very powerful 55W halogene dipped beam and front/rear LED position lamps and brake lamp.